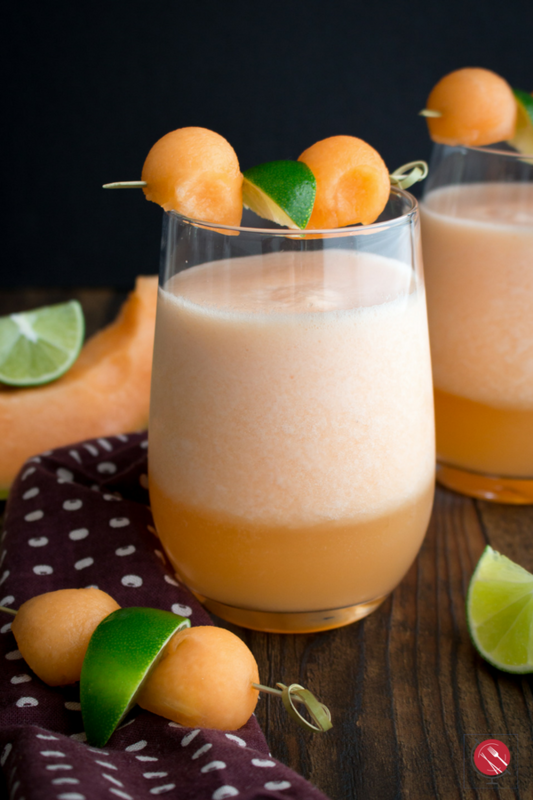 You are just going love this Cantaloupe Lime Agua Fresca beverage. 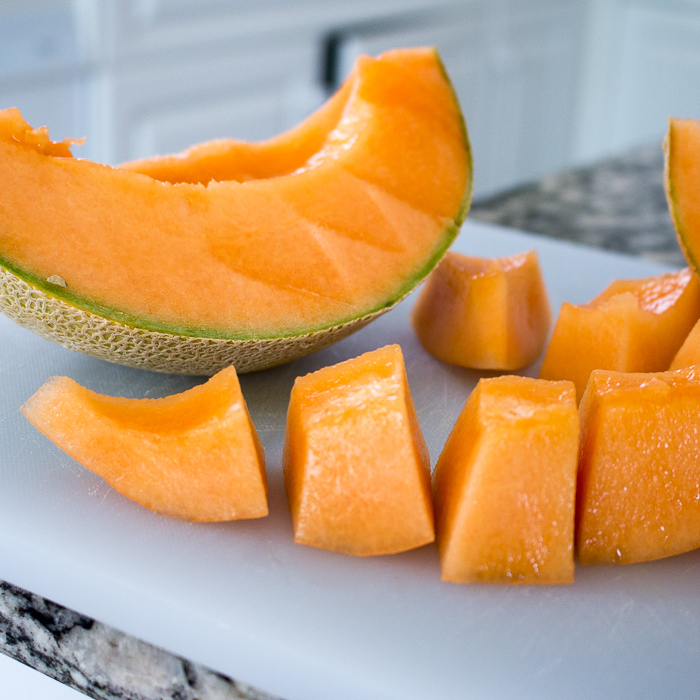 Have you ever tasted a cantaloupe so sweet and aromatic that it tasted like candy? We have no idea how we were so lucky! How do you know what cantaloupe to choose to purchase? Do you shake it, smell it knock on it? We personally wait until a little grandma hits the fruit isle and then ask them to please pick the perfect one for us and like magic every time, we get the sweetest one! Agua Fresca is really popular Mexican and American non-alcoholic beverage that literally translates as “water fresh” . It is certainly fresh and refreshing. You can make with any fruit you desire but make use the fruit you use is at the peak of ripeness and in season. Our Cantaloupe Lime Agua Fresca is a little unique as we used sparkling water instead of still water, crushed ice in the and we did not strain the fruit. We love that little extra sparkle from the sparkling water/seltzer water and the frosty ice fruit. 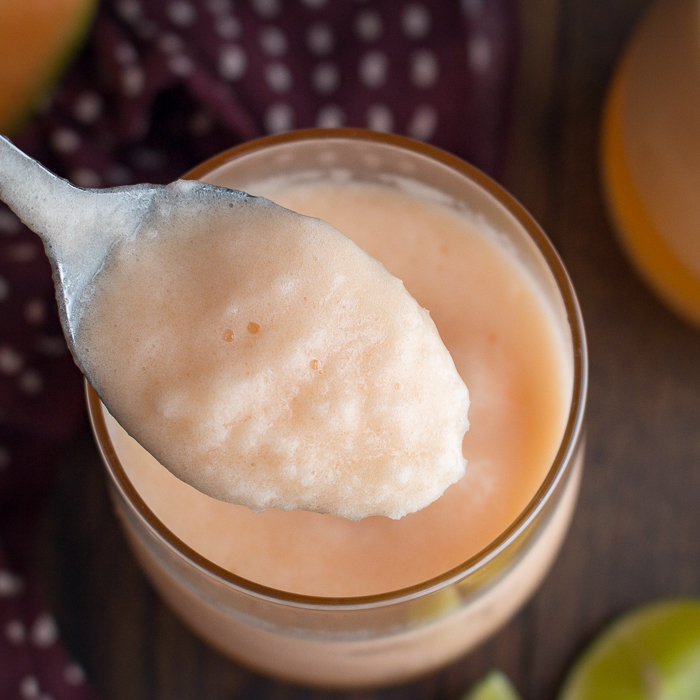 You can go through that whole bother of straining your Cantaloupe Lime Agua Fresca if you wish, but why? The fruit is the best part! You would be surprised how you will start tasting your food when you quite sugar. How many of you out there have quite sugar due to health reasons or just to get back on a healthy track? Our brains are so gullable and immediately want more and more sugar once we get our first taste. Sugar is hidden in so many things. You are trying eat healthy so you eat a salad. Right? But wait you best check out that salad dressing label as it is just filled with sugar or sugar alternatives. It is best to make your own homemade so you know exactly what is in it. Seriously we have found a huge difference in our taste palates as we try to avoid foods with sugar or sugar alternatives. Naturally sweetness of the flavors comes shining through from the fresh vegetables and fruits. 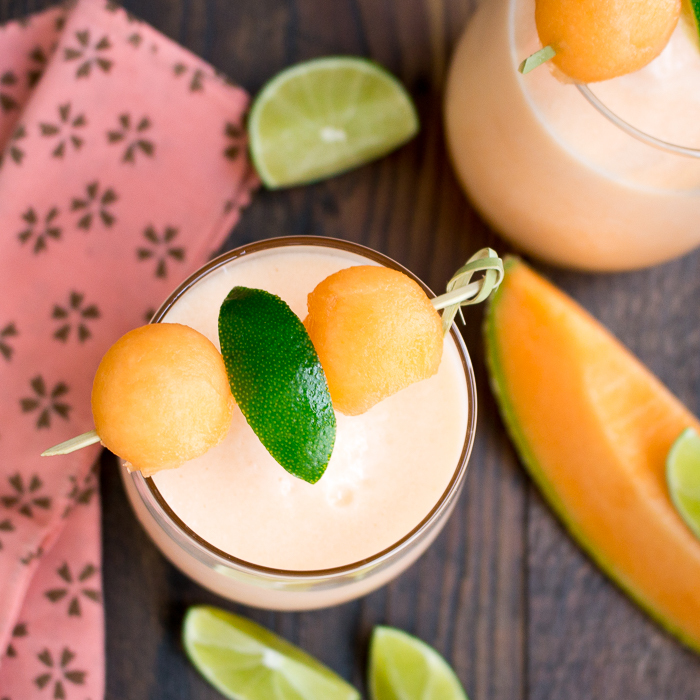 We did not add any extra sugar or sugar alternative to this beverage as the cantaloupe was so extra naturally sweet. However, feel free to do so to get it to your desired sweetness level. 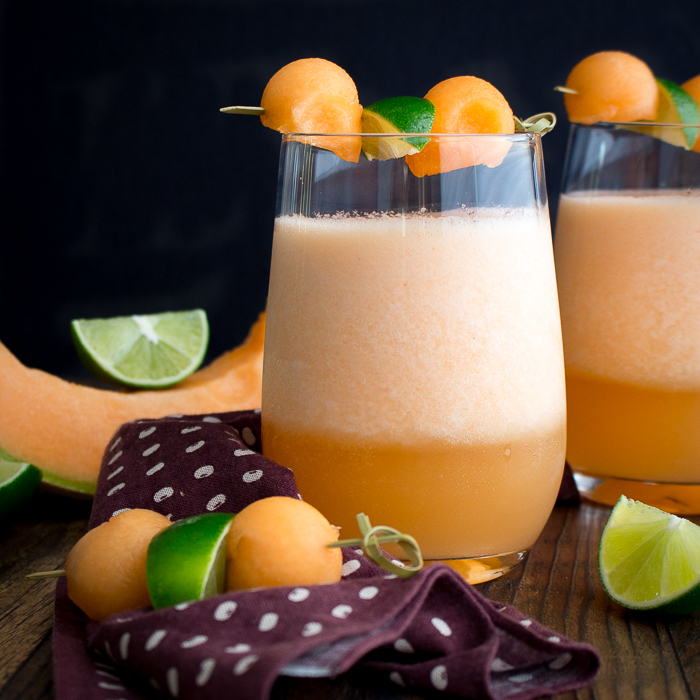 Our Cantaloupe Lime Agua Fresca would be a perfect refreshing accompaniment to our Creamy Chipotle Chicken Skillet, Roasted Tomatillo and Key Lime Cilantro Salsa Chicken Sizzle, or our Chicken Enchiladas with Fire Roasted Poblano Peppers. Our Cantaloupe Lime Agua Fresca are vegan, gluten-free, dairy-free and if you want to make lower carb or diabetic friendly, exchange the cantaloupe with berries instead. Sugar or sugar alternative to taste- we did not add any as our fruit was so naturally sweet so adjust sweetness to your desired level. Start out with just a teaspoon if needed, as you can always add more. 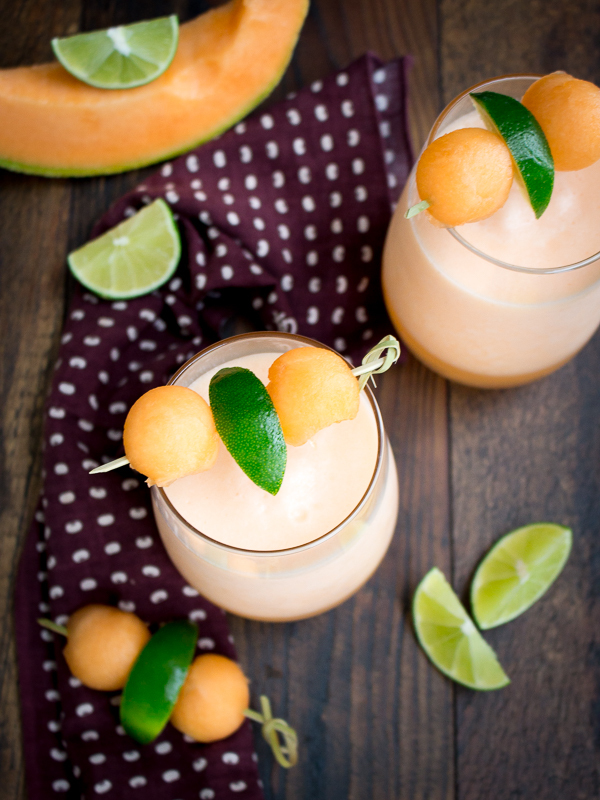 1In a blender add cantaloupe, seltzer water, lime juice, ice and (sugar or sugar alternative if desired) and blend until smooth. 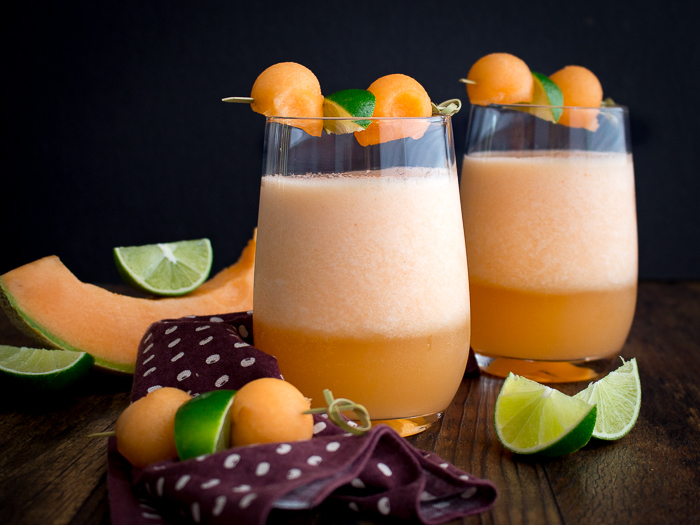 2Pour your refreshing Cantaloupe Lime Agua Fresca into glasses and garnish with fresh cantaloupe and limes as desired.